Whatever the occasion Imaginaire can help you celebrate with fantastic, fun and fuss-free children's entertainment to suit. We are truly passionate about what we do and have over ten years experience in children's entertainment. Our aim is to create a colourful, fun and magical atmosphere at your event, where each and every child has a very special time. We know how much effort, thought and planning goes into these occasions. We will help to take away some of the stress on the day so you can step back and enjoy it too! We offer a personalised professional service and enjoy going the extra mile to help make your event or child's birthday extra special. 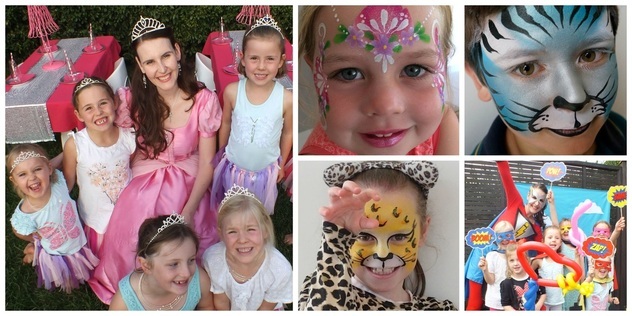 Imaginaire specialises in Face Painting, Balloon Sculpting, Theme Parties and Children’s Drama. Whether you're interested in one or both of these options we can be sure to tailor something to suit your special occasion! and be sure to like our page to be kept informed on special offers, where you can see us at public events, competitions and more. Welcome to our site, I hope you enjoy discovering more about us and we hope to Imaginaire your next occasion soon!